Looks fantastic and thank you for the port numbers! Did the 3 angle valve job change the flow numbers, specifically at low lifts? Looking for a heater valve - attaches to the firewall and has two heater hoses connected. Car has been sold, hopefully the new owner will take good care of it for the years to come. Lots of setbacks but you have persistence. Looks good. Looking good man. I want to see that pretty POR-15 rear end! Very interesting. Been following your 20V projects and I remember the adjustable stack length using 2" aluminum tube, but have you done any further testing on the stack length vs power band effects? Nice build and ideas so far. The way to hit 50mpg is through driving technique and aerodynamics. All other stuff such as flywheel weight are relatively small peanuts. Speaking of which, host that last picture from lugnutz somewhere because they don't allow direct linking and we can't see it! Nice info. How listing some good, well tested spring/shock set ups to start with. And then after that explaining the physics behind how the ever elusive traction brackets work. Lots of good work here, keep it up. 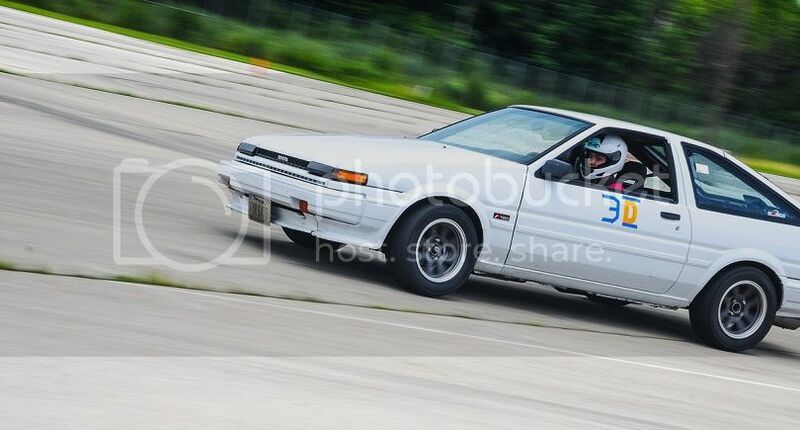 Recent autocross picture. I've been driving it more than working on it lately. Soon I will put in a new gas tank and tune up the rear suspension.